You’re dead-locked in a dispute, your lawyer has told you there’s nowhere else to go except the court, that it’s very expensive, but you might lose – is there nothing else you can do? The fact is that disputes that appear to be deadlocked can often be resolved by bringing in an expert mediator. I am an independent neutral. My job is not to judge who is right or wrong, but to work as hard as I can with both parties to the dispute. We will discuss the problem separately and together, and find a solution that saves costs and cuts risk. Fellow of the Society of Advanced Legal Studies, Arbitrator and Adjudicator. Having qualified practised first as a Barrister and then as a Solicitor, I have wide experience of civil disputes in and out of court. 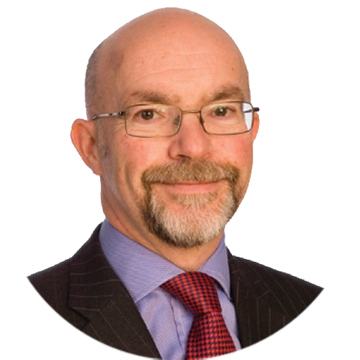 More than 30 years’ experience of high level law practice, including my work as a specialist construction Adjudicator, have given me invaluable understanding of the disputes that the sector constantly generates. Registered adjudicator and panel member with experience of both domestic and international arbitration. Whether a single hour seminar, a webinar you can use and re-use, or a bespoke multi-week, programme, we can provide worthwhile, meaningful and inter-active teaching for your organisation. This course is written specially for design professionals whose usual clients are "consumers". It explains how consumer law changes the way profssional contracts work and provides guidance on managing the relationship with house owners and other "domestic" clients. Commercial property dispute – contentious £3,000,000 valuation of the acquisition fee for residential redevelopment of farmland, complex legal challenges to interpretation and validity of Option Agreement, and conflicting expert evidence. His advice is always practical and very easy to understand, including the risk surrounding possible decisions. Rob has the skill and personality to explain the most complicated legal point in simple terms. David Padfield, Director, Jersey Electricity plc.